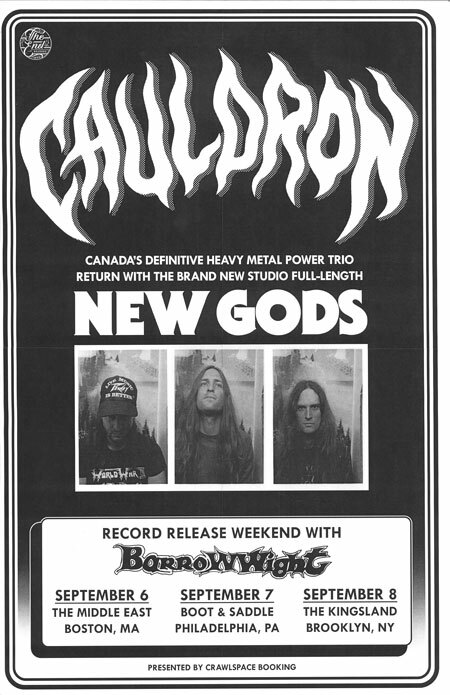 Canadian metal trio Cauldron are streaming “Letting Go”, a track from their new album New Gods, out September 7th through The End Records (North America) and Dissonance Productions (Europe). Listen below. For the follow up to their critically-acclaimed 2016 album In Ruin, Jason Decay (lead vocals/bass), Ian Chains (guitar) and Myles Deck (drums) together with producer Chris Stringer (Timber Timbre, Wooden Sky) honed and recorded the songs at Union Sound in Toronto for what would become New Gods. 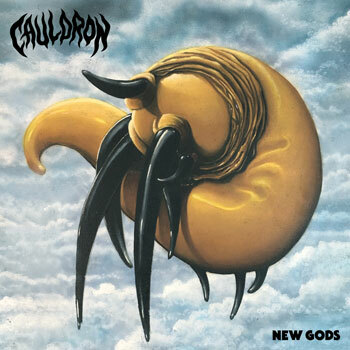 Cauldron have announced a set of shows with support act Barrow Wight to celebrate the new album. The band also has a headline release show planned in their hometown of Toronto set for September 15th at Junction City Music Hall.